He has already several albums to his credit. First View (1999), Positive Energy (2002), 3D (2004), Radiant (2006), Snowfall (2006) and the DVD/CD feature One Night Live (2008) are to mention. 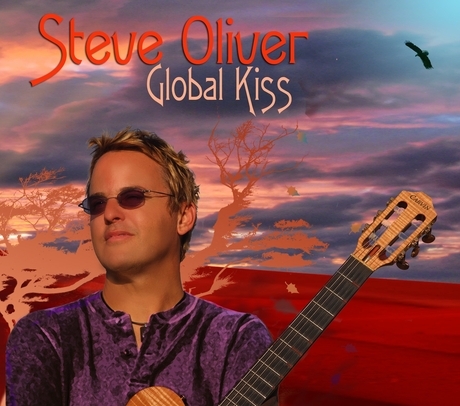 His new album is entitled Global Kiss and released by Oliver’s own label SOM Entertainment. It looks like the time of cover albums is over. Steve has written all songs on his new CD. The starting tune Fun In The Sun describes his attitude of pure happiness. His nylon guitar sounds better than ever and his humming didn’t loose its charm. Nate Harasim underlines the song with some tricky sounds, while Darren Rahn fills the air with his mesmerizing sax. As far back as I can remember, Billie Holiday was a name I just knew. I didn’t know much about her, but I knew her unique, one-of-a-kind voice. Once you heard her, you couldn’t forget her. Sometimes she was brash and others she was silky smooth. I couldn’t quite decide whether I liked her or not, but I clearly remember the first time I got a glimpse of her genius. I was in college visiting my good friend, vocalist, Carla Cook. Neither of us majored in music, (I hadn’t attended Berklee yet), but we both sang around town with some of Boston’s finest musicians. She went to Northeastern and I went to Boston University, so, when we got together, we had plenty of catching up to do. One particular day, we decided to listen to Billie Holiday. The afternoon started as usual with lots of laughter and the sharing of secrets. We soon noticed however, that we had stopped laughing. We had stopped talking. We found ourselves staring blankly at each other. Billie had done what many singers only dream to do, make us feel something. We changed the music immediately. When “Lady Sings the Blues,” starring Diana Ross came to the theater, we got to know her personal struggles. So years later when I played Billie Holiday in a Los Angeles musical, “Dark Legends in Blood”, I came to appreciate the many layers of her craftsmanship. Her rhythm, often back-phrased, is impeccable and her note choices are unpredictable, understated, and educated. The great paradox about Billie Holiday is, as unique as her voice is, it is, at the same time rather ordinary and attainable. Most singers have tried to imitate her, but few have even come close. This CD is not an attempt to copy Billie Holiday. It is however an attempt to introduce a new Day and bridge the gap between the past and the future and usher Miss Billie Holiday into the 21stcentury. 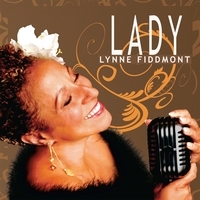 Lady is arrived at CDBaby. The Chris Geith Group are Chris Geith (piano, keyboards, programming), Matt Marshak (guitars), Fred Scerbo (saxophone), Mark Mullers (bass), Donny D (drums, percussion), Dean Kosh (drums) and Al Davis (trumpet, trombone). 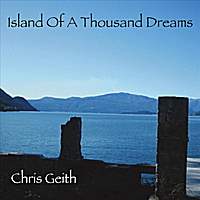 The music of The Chris Geith Group is based on a combination of many different styles including jazz, R&B, latin, pop, and classical, but focused in blending them into a contemporary jazz context. The newest album is entitled Island of A Thousand Dreams. Over two years in the making, this album is featuring also some of his most popular music heard recently nationwide on the Weather Channel including the songs “Blue Horizons”, “Diamonds In The Sky”, “When Morning Comes” and much more. Start dreaming! The album is available at CDBaby and already a CDBaby top seller! This trio is a little special. Saxophones, drums and Hammond organ have been created to inaugurate the Blue Note Jazz Club in Dakar. Jean Luc (drummer) comes from Pop-Rock, Philip Petit (Hammond organ) comes from jazz and saxophonist Sylvain Sourdeix, from jazz and Brazilian music. 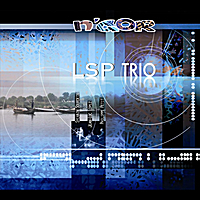 This trio has just released a new album called LSP Trio N’Gor. The music is decidedly mixed and is to find at the crossroads of the most diverse: Jazz, Funk, World Music. But the music remains focused on one of the most important parameters of music: melody! Released in February / March 2010 the album is now available at CDBaby. 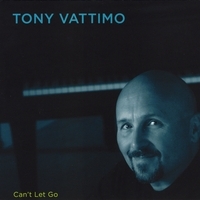 Hailing from Philly Tony Vattimo is very active as jazz musician in and around his hometown. He is playing with his band New Earth Trio (featuring bassist Rob Williams and drummer Abe Speller) or at Gerald Veasley’s Jazz Base in Reading. He also performs with Andre Neu and his band. Last year he has released his debut album Can’t Let Go, on which Tony plays piano and keyboards. He is joined by Erik Johnson (drums), Steve Varner (bass), Kevin Hanson and Steve Zinno (guitars), Bob Howell (sax), Iram Diaz (percussion), Chuck Dressler (trombone), Bill Hicks (trumpet), Dave Di Palma (sax). Tony has composed all songs. He already received high acclaims by notable critics. A reason to present this worthy album to the readers of this column. The city is often inspiring musicians of all genres. Street Lights is Tony’s personal contribution to the night life of his hometown. Vattimo portrays the scenery with soft piano notes backed by a veritable horn arrangement. 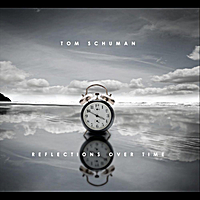 Tom Schuman (keyboardist and co-founder of Spyro Gyra) has released several great CDs before, but this is arguably the best. Starting with “A Quote From Mr. Z” he channels the spirit and genius of the late Joe Zawinul. Tom’s composition and performance on this track establishes him as this era’s successor to Zawinul. Equally impressive is Tom’s collaboration with former Dazz Band and Kool & the Gang lead vocalist, Skip Martin on “When.” Watch the video on YouTube. With a nod to Oprah and Deepak Chopra, Tom lays down the new social anthem. Other highlights include the beautiful and melodic “Sofia’s Eyes” and perhaps the fastest performance of the John Coltrane classic, “Giant Steps” ever performed on the piano. Push Play and enjoy. Reflections Over Time is an eclectic and exciting blend of jazz styles that takes the listener on a musical journey – sure to satisfy and delight the tastes of music lovers from every genre. Tom mixes in a little R & B and pop vocals to spice it up a little bit. Don’t miss it at CDBaby. The key attribute of any truly successful artist is the ability to consistently write music of the quality that can shape a career. This doesn’t always come easy but in the case of writer, producer and keyboard player Jonathan Fritzén he really has hit the ground running. His 2008 debut Love Birds announced him as a performer of tremendous promise and every one of it’s eleven original compositions reached to the very core of what great smooth jazz should be. Nevertheless it seemed incredible when less than a year later he returned with the equally impressive VIP. But that is far from the whole story. Brand new for 2010, and with a street date of June 19 comes the highly anticipated and delightfully accessible Diamonds. Fritzén’s musical evolution has been a learning experience and although with Love Birds he handled the entire project himself, (including writing, producing and playing all eight instruments) by the time VIP came along he had gained both the contacts and the confidence to include several guest artists. Not least in this respect was sax-man Michael Lington and, most notably, Jay Soto who added a typically tight guitar solo to the totally ‘in the pocket’ title cut. When released as a single this infectious tune hurried to a top-10 placing on the Billboard charts and in total the album spent 40 weeks on the SmoothJazz.com Top 50. 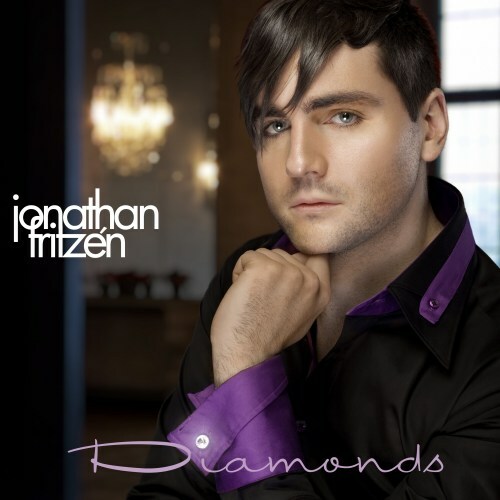 Now, with Diamonds Fritzén is continuing his exciting musical journey. Described as his most personal project yet, he has composed all ten tracks, produced throughout and in common with VIP engaged the services of some really outstanding guest artists. Laila Adéle, who featured on VIP, makes a welcome return while both Alex Al and Mel Brown contribute on bass. Sax duties are shared between Koh (aka Mr. Saxman, with whom Fritzén recently worked in Thailand), the ubiquitous Darren Rahn and rising smooth jazz starlet Jessy J. Indeed her performance on the sultry ‘Fly Away’ is something to savor while a special mention must go to the soul drenched ‘You’ll Be My Mine’ where not for the first time Adéle steals the show. Rahn, who also mixed the album, provides an input to the mid tempo ‘This Way That Way’ that is sure to make it a favorite of the airwaves but that said the first single to be serviced to radio is ‘Dance With Me’ which finds Fritzén at his rhythmic best. Jonathan Fritzén was born in Stockholm to a Swedish mother and an American father. He grew up in a musical family and as a young child started playing drums. He later added piano, bass, guitar, flute and vocals, whilst during his formal training at the Royal Academy of Music in Stockholm he became one of the first students to receive a Masters degree in jazz. By the age of 22 Jonathan had performed on national Swedish television several times and toured with some of the countries most respected jazz musicians. Three years later he recorded Love Birds and in so doing made his mark as the first Swedish pianist to release a smooth jazz CD. The rest, as they say, his history and with Diamonds he is all set to write a new chapter. It is a further manifestation of the innate ability Fritzén has to weave rhythm and melody into everything he does and is sure to be one of the albums of the year.